Senior Rachael Ostrem and Graduate Assistant Brianne Jaeger discuss the digital image produced by the new diagnostic equipment. Both are learning how to take baseline radiographs that will enhance their ability to care for horses. 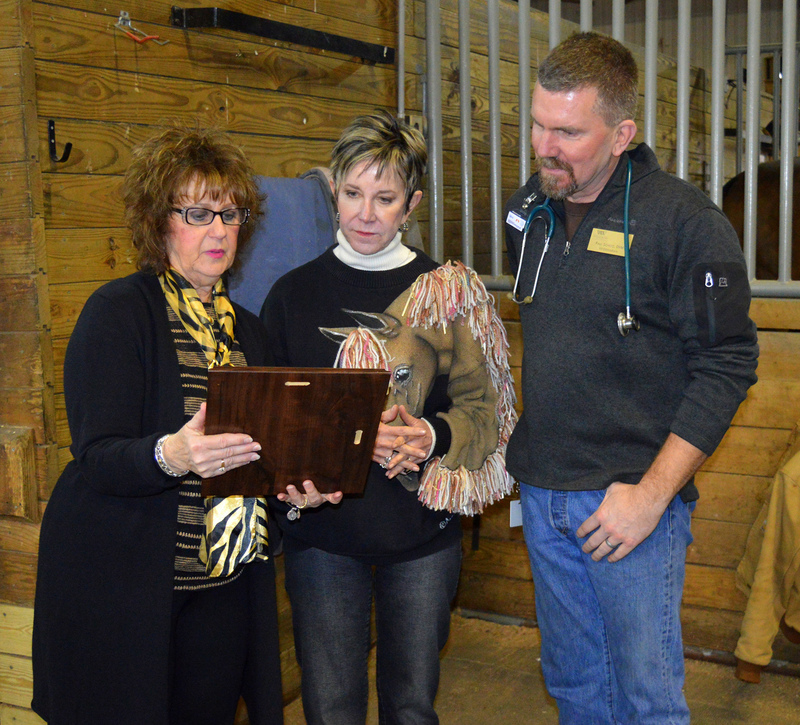 The United States Department of Agriculture Rural Development has announced a $40,000 Rural Business Development Grant to William Woods University to assist in purchasing equipment and supplies for the university’s new Center for Equine Medicine. 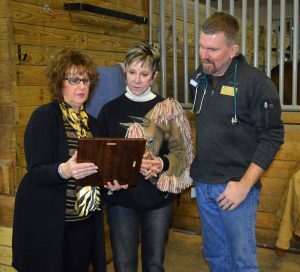 The announcement was made by Janie Dunning, Missouri’s State Director of USDA Rural Development, Feb. 11 in the hunter/jumper stables on campus. William Woods University’s new digital radiography system is one of the pieces of equipment provided by the Rural Business Development Grant. 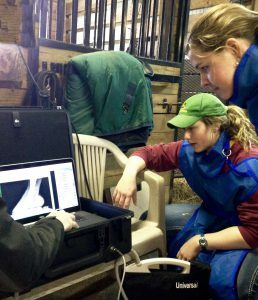 The Center for Equine Medicine is being established through an interdisciplinary initiative involving both equestrian and biology programs. It will offer students a hands-on classroom environment to assist with emergency care and treatment, perform research, and gain clinical experience for the continued learning of equine studies and servicing the health care needs of the university-owned horses. 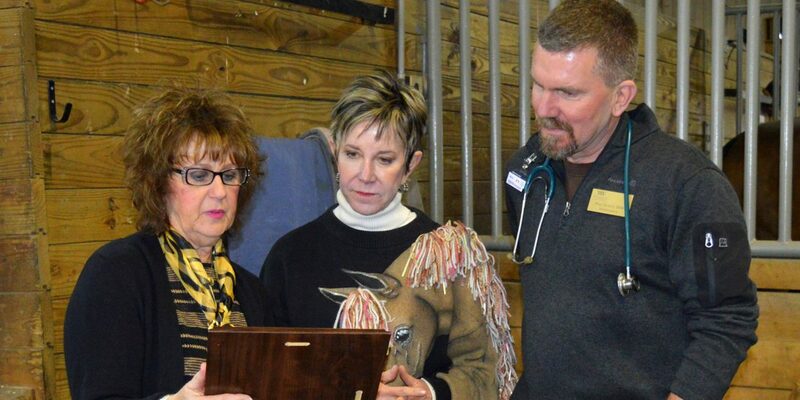 Janie Dunning, Missouri’s State Director of USDA Rural Development, presents a plaque to Dr. Jahnae H. Barnett, president of William Woods University, and Dr. Paul Schiltz, WWU veterinarian, commemorating a $40,000 USDA grant to William Woods. Located on 17 acres off Highway 54 at the HH exit, the center consists of a large indoor riding facility, six horse stalls, an isolation area for ill and contagious horses and a home for the veterinarian and his family, which will allow him to be on-site in case of emergency. 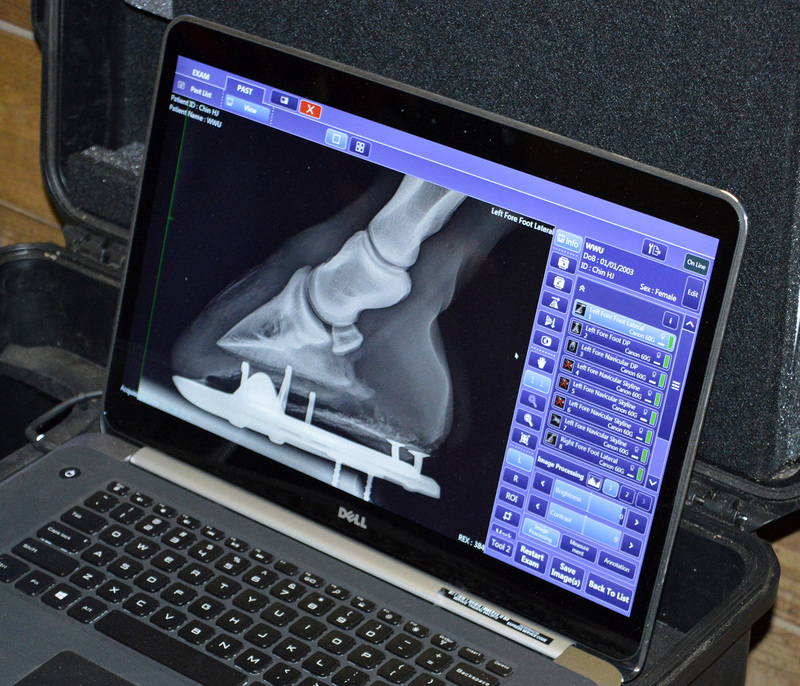 Dr. Paul Schiltz, the new veterinarian, has an extensive background in sports medicine and reproduction, as well as general equine medicine and surgery. The Rural Business Development Grant is designed to support targeted technical assistance, training and other activities leading to the development or expansion of small emerging private businesses in rural areas. USDA, through its Rural Development mission area, has an active portfolio of more than $213 billion in loans and loan guarantees. These programs are designed to improve the economic stability of rural communities, businesses, residents, farmers and ranchers and improve the quality of life in rural America.